* Elevated Temperatures SA / A 387 grade 5, 9, 11, 12, 22 and 91 Class 1 and 2. * Medium to High Temp. SA / A 204 Grades A, B and C.
* Heat Treated SA / A 302 Grade B, C and D.
We kindly refer you to our chapter Manufacture and Forming. Plates in the above grades are able to either cut to size , breakbenched into shapes and welded. SA / A 240 Grades 304(H), 316(H), 316Ti, 317L, 321(H), 347(H). Wnr. 1.4301, 1.4306, 1.4401, 1.4404, 1.4571, 1.4438, 1.4541, 1.4550. SA / A 240 / A 403 WP 309, 310, 310s, 310H. SA / A 240 / A 403 WP 405 , 409, 410s, 410. Wnr. 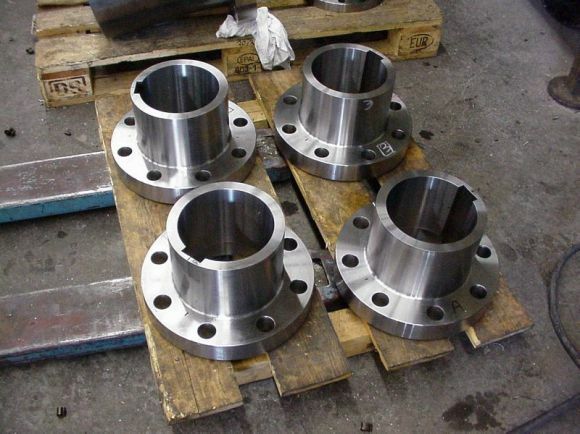 1.4002, 1.4512, 1.4006, 1.4000.
welded and drilled with pipe holes so to manufacture them into Tube Sheets & Baffle Plates. • ASTM A 515 grade 60/70 Normalized + AISI 410s Cladding. • ASTM A 516 grade 60/70 Normalized + AISI 405 Cladding. • ASTM A 516 grade 60/70 Normalized + UNS S 31803. Tensile , Shear , Bend and Impact tests covered as per the above norms. 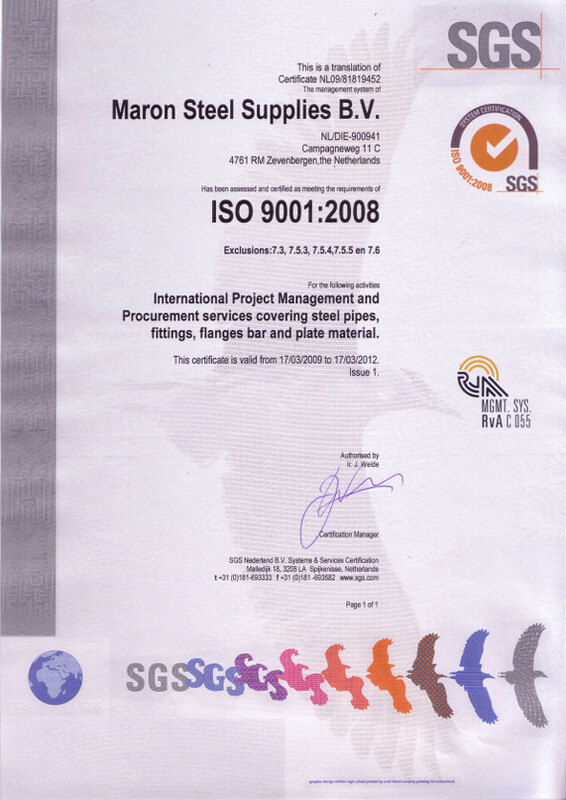 100% US Inspection as per ASME SA 578 Level 1.